Heron is dedicated to the design and development of medium voltage capacitor discharge resistance welding systems. A capacitor discharge resistance welding is a special welding process used to produce a high energy pulse system by a welding transformer, after capacitor discharging. 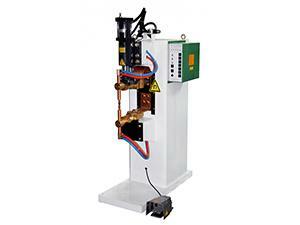 The high energy pulse system can output a secondary current of 1000KA in milliseconds. 10KJ-120KJ Capacitor Discharge Resistance Welding Machine (Spot Welder, Projection Welder) The power of our resistance welding machine is ranging from 10KJ to 120KJ. 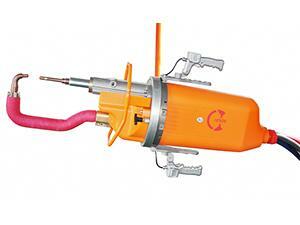 The maximum short cut current of our welding machine is ranging from 90KA to 1000KA. At atmospheric pressure of 6bar, the welding pressure of our welder is ranging from 15KN to 240KN. 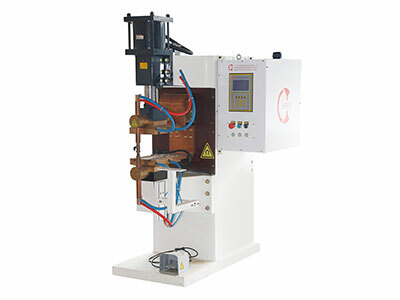 500J-8000J Capacitor Discharge Resistance Spot Welding and Projection Welding Machine The power of our resistance welding machine is ranging from 500J to 8000J. 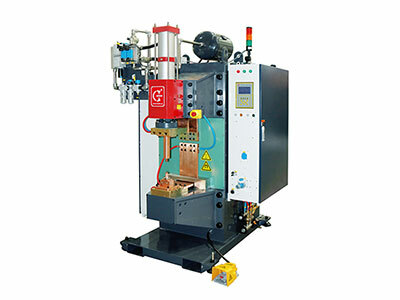 The maximum short cut current of our welding machine is ranging from 14KA to 80KA. At atmospheric pressure of 6bar, the welding pressure of our welder is ranging from 1240N to 15000N. 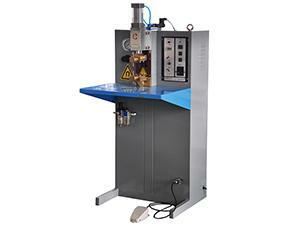 Capacitor Discharge Resistance Seam Welding Machine The resistance welding machine power is 500J. 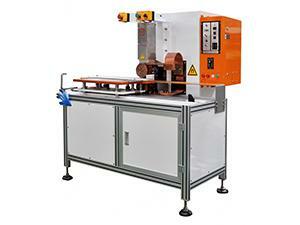 The maximum short cut current of our welding machine is 14.6A. 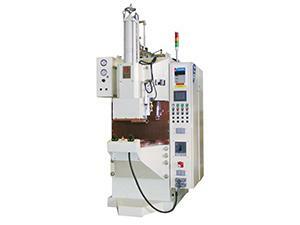 At an atmospheric pressure of 6bar, the welding pressure of our welder is 240N. The effective throat depth is 116.5mm. 1. One particular advantage of capacitor discharge resistance welding is the projection welding between the screw nut, welding hot-forming steel and galvanized steel. 2. Compared with AC or DC medium frequency welding process, a capacitor discharge resistance welding system uses capacity energy discharge over electric energy from a power grid. This means capacitor discharge resistance welding requires less energy and will not burn the work piece after welding, as well as ensure there is no influence on the secondary current due to fluctuations in a power grid. 3. Capacitor discharge resistance welding systems with a short welding time are effective, precise, easy to operate and easy to repeat. Heron is engaged in making resistance welding system, is an experienced capacitor discharge resistance welding machine manufacturer and welding solution provider. 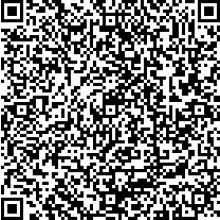 Since 1997 we have been offering wide range of capacitor discharge resistance spot welders, resistance seam welders, resistance projection welding machines and robotic welding system for global customers.